Sending satire down the conveyor belt and celebrating what makes us all tick in a hilarious revue that will leave you breathlessly ready to face the future… and all its loose screws. ADULT ONLY for this show! 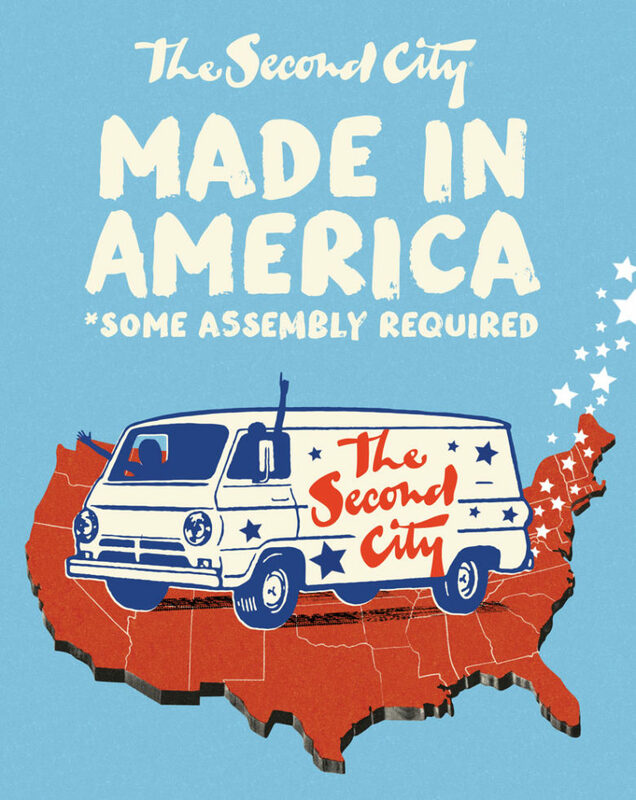 A certified American comedy institution since 1959, The Second City’s laughs are 100% USA-made in this latest take on our great, big dysfunctional nation! The lauded company [John Belushi, Dan Aykroyd, Gilda Radner, with Bill Murray] is sending satire down the conveyor belt and celebrating what makes us all tick in a hilarious revue that will leave you breathlessly ready to face the future…and all its loose screws. THE SECOND CITY TOURING COMPANY is always original, daring, and hilarious. Their alumni list is a veritable “Who’s Who” of comedy, including Bill Murray, John & Jim Belushi, Mike Myers, Steve Carell, Julia Louis-Dreyfus, George Wendt, Tina Fey, Rachel Dratch, Horatio Sanz, Tim Meadows, Joan Rivers, John Candy, Stephen Colbert, Chris Farley, Harold Ramis, Jack McBrayer, Jason Sudeikis, Jane Lynch, Aidy Bryant, Steven Yeun, Keegan-Michael Key and so many more.